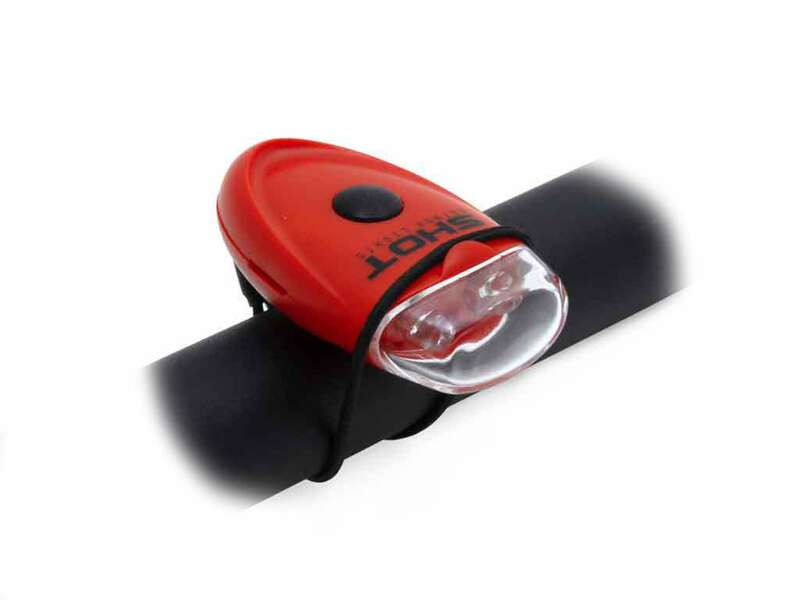 Rear light with 2 pcs of strong red LED. Easy to attach with elastic string to bicycle, dress, back-pack, etc. Long battery life (2x CR2032 batteries included), flashing (60 h.) and steady (30 h.) modes. Suitable for cycling as well as other activities.